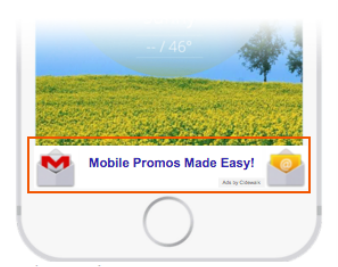 Your ads appear as a banner across the bottom of the most popular apps in your local region. Your business logo and link to email are clearly seen at all times, and your custom text is continuously looped. Leads: Txt, Email or Website leads. Customers who view and engage with your ad are prompted to generate either an email lead or txt-lead, or be directed to the business’ website directly. You choose which option works best for you. ​Repetitive Viewing: Customers will see your ad numerous times.